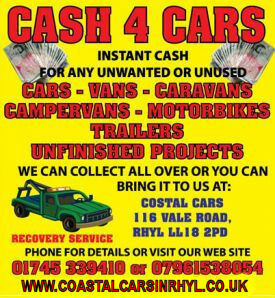 We offer a Cash 4 Cars service were if you have any unwanted, unused or unfnished projects or just need to get rid of a vehicle quickly we will make you a cash offer and we can come and collect or you can bring it to us. We will take them in almost any condition as long as they are moveable and we can get to them with the recovery vehicle. • Make and model of vehicle? • Does the vehicle drive or not? • What condition is it in? • Is there any tax or mot? • Is it currently on the road? • Where is the vehicle located? •Do you have the v5? collect or you can bring it to us. 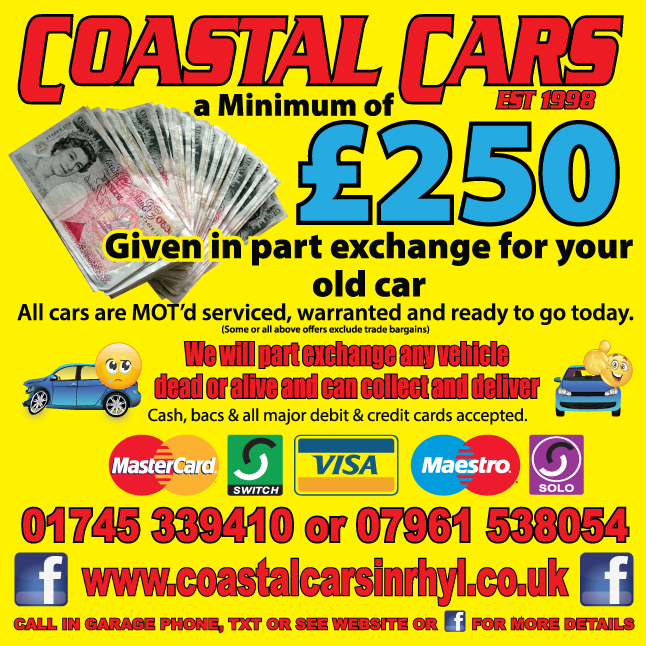 You are welcome to email any cash 4 cars queries including the details of any vehicles and your contact details including address and contact number. We will contact you with a cash offer . 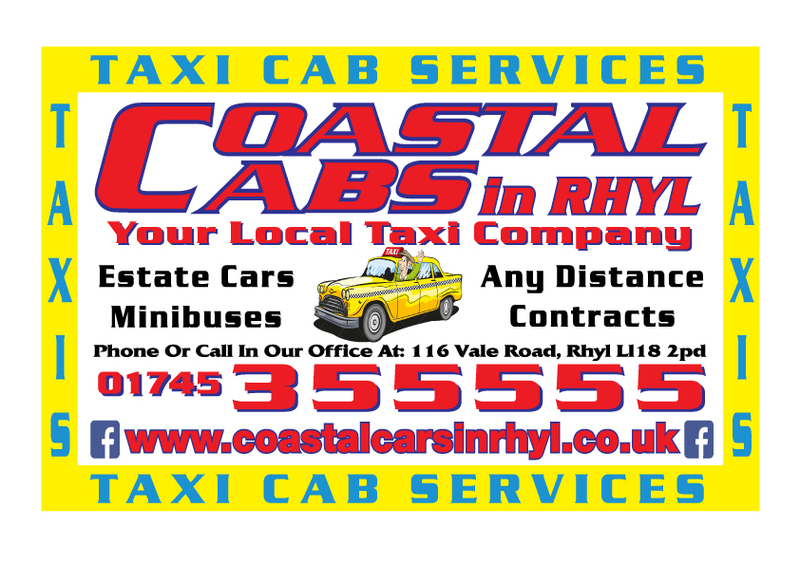 Call us on 01745 339410 or 07961 538054 after hours.